As featured in the New York Times, Reema Zaman is an award-winning author, speaker, illustrator, and actress, and the Oregon Literary Arts Writer of Color Fellow 2018. Born in Bangladesh and raised in Thailand, she moved to the United States at 18. Her memoir, I AM YOURS, tells the story of her unwavering fight to protect and free her voice from those who have sought to silence her. Reema explores the many difficulties, dangers, and ultimately, the necessity for all women--all people--to claim and use their voices. A reader's author, Reema wrote I AM YOURS as a love letter, to deliver solidarity, solace, and strength. Her work has been featured in The New York Times, Dear Sugars, The Rumpus, Narratively, Shape Magazine, and eleswhere. 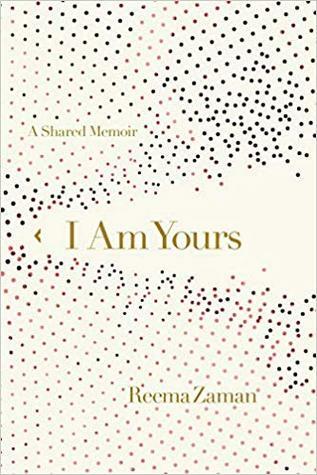 "My heart just burst into a thousand songs after reading I AM YOURS by Reema Zaman. From the first word to the last, this story is phenomenal triumph of one woman's body and voice rising up and through a culture that would quiet her. Moving through language and experience without flinching, Zaman reminds us that to have a body is to bring a soul to life. A stunning debut." -- Lidia Yuknavitch, bestselling author of The Small Backs of Children, The Chronology of Water, and The Book of Joan.